What a great session on the allotment last Wednesday.. I know I have been a silent blogger recently, but with good reason. We have been busy working on building the greenhouse, which as you know is a tricky business especially when trying to interpret the accompanying assembly booklet, I shall say no more! All is coming along nicely, including the irrepressible bind weed, like I say to my group, bind by name, binding by nature..! This week we aim to wash all the glazing and put the windows into the framework. 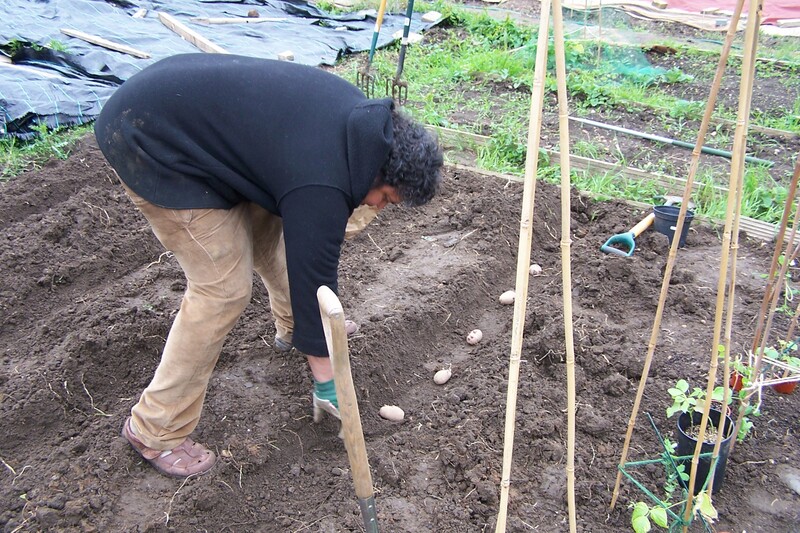 Other exciting developments on plot 49 include the planting of potatoes, I have selected a main crop variety called Sarpo Mira which look lovely and with good disease resistance I thought they would be a great starter potato for us to grow. 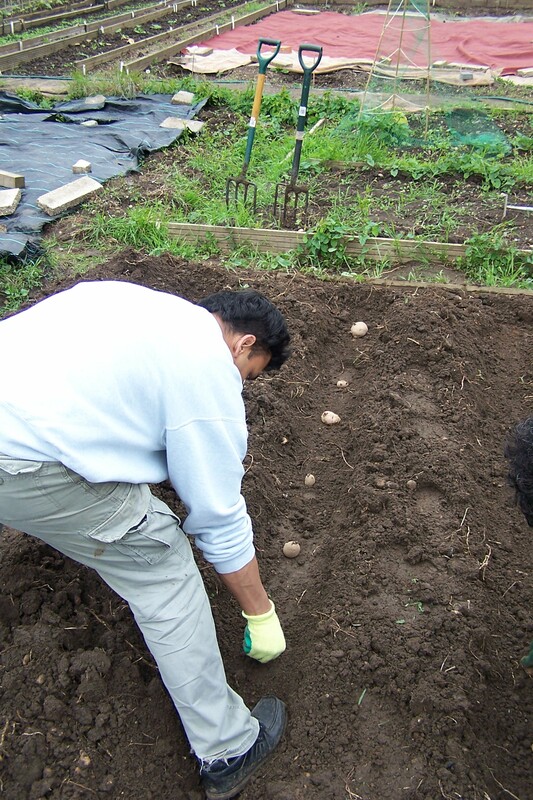 Group members dug out their trenches and laid their potatoes shoots upwards and covered over with the freshly dug soil, which was a delight to dig due to all the heavy rain. The previous week digging was no pleasure at all, as with any clay soil it had set solid like rock under the baking sun. We still have lots of direct sowing to do and this week shall see us planting Beetroots and Carrots that were generously gifted to us by Liz Ware. 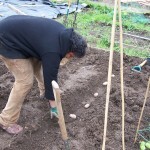 I would like to compile a photo gallery for our first growing season on the allotment but for now it’s back to work. PreviousChelsea 2013 as seen by Judi the Gardener..
Do you add any fertiliser when planting the potato seeds? And if yes, what kind of fertiliser do you use? Is it natural or a store-bought product? Hi Mark, are you thinking of growing for yourself or clients? What kind of site will you be planting the potatoes in? I’m growing for myself, but I want to boost the growth of the plants a little bit in the beginning. I prefer to use an eco-friendly product, but I’m not sure if that is possible. Hi Mark, sorry for the late reply. 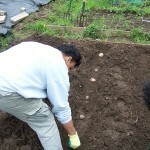 Try this really useful website.. http://www.allotment-garden.org/vegetable/potato-fertiliser-program.php.